Start a Program and Stick with It! Have you gained weight because you have a desk job, play too many video games, gained the freshman fifteen, or expanded your waist size for some other reason? Do you want to do something about it? Sadly, that magic pill to help you lose weight overnight isn’t available yet. Diet and exercise are the way to go. As all programs state, consult your doctor before starting a workout or diet program. So, go and do that. They might even help you lose the weight with a meal plan for you. If they don’t, there are many options that you can find in weight loss books. You might even want to join an online weight loss website, such as Weight Watchers or Spark People, to help keep you on track. A program is only as good as your motivation and determination to stick with it. If you’re still sitting on the couch and eating pizza every night, the pounds aren’t going to just magically melt off your body because you bought a membership to Weight Watchers and a new Wii Fit. I really wish this were the case, but it isn’t. Starting a new diet and weight loss plan doesn’t happen by just playing video games on the couch. Even on the Nintendo Wii, you’ll need to get up and get active with the game to lose weight. For those that love video games, this is a big bonus because they get to exercise while also playing video games. Exercise can get boring. Having a variety of DVD workouts and exercise games for the Nintendo Wii (or other console that also has ways to get you more active) can help cure this, so be sure to have plenty to keep you from getting bored. When working out with the Nintendo Wii, be sure to have a large space to exercise in. You don’t want to run into furniture or knock things over when working out. Some games require you to use the Wii Fit Balance Board, so if you don’t have one, don’t buy those games, or buy the Balance Board so you can use them. There is a large variety of games that you can play to help you achieve your weight loss goals. This article is focusing on the Nintendo Wii because that is what I personally used to help me with my goals. I tried a rather large variety of games to help me meet my goals, and these are some of my favorite ones that I would happily recommend. This is really one of the basics that you’ll need to invest in for your workouts with the Wii. Many of the video games use it, so it is something you should definitely try to get to help you lose weight. This is the priciest thing you’ll need to buy costing around $99 most of the time, although they have been found on sale for $69 in some stores for weekly specials. Shop around if you want. Do you love to dance? If so, these games are perfect for you! 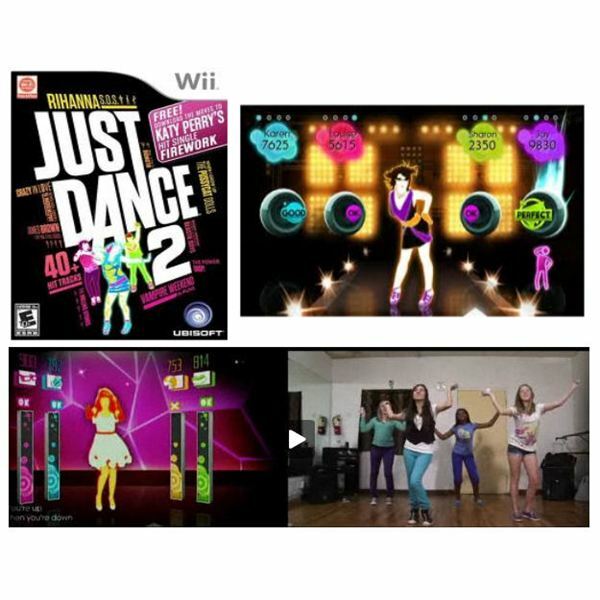 The Just Dance games feature popular music that will have you dancing and working out in no time. These are my favorite because I like to sing and dance – just not in public. If you’re a secret singer and dancer, try these in the privacy of your own home, too. If you want to be a part of the Zumba craze, but don’t want to join a gym to try this workout, then the Zumba Fitness Wii game is the way to go. There is an in-game instructor and tutorial that will teach you how to do Zumba, so don’t worry if you haven’t done it before. There are also different levels of difficulty, which helps you make the workout harder as you get better at it. 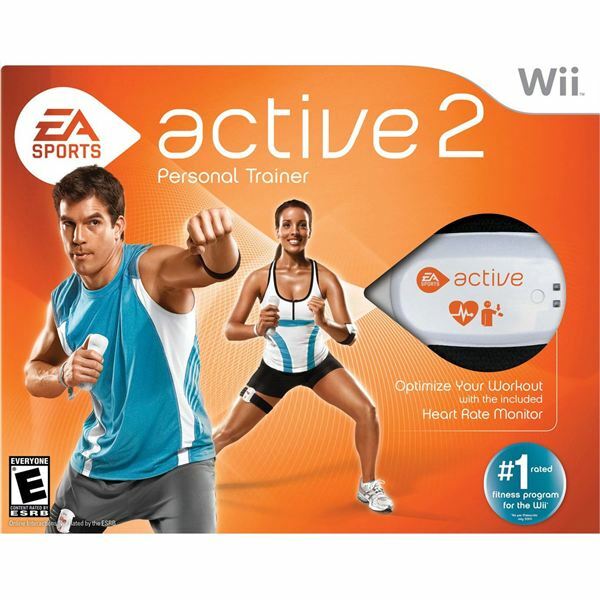 For those that want to feel like a trainer is there with them, EA Sports Active 2 is a great workout. It has also dropped in price by almost half, so it is really an affordable option that offers a big bang for your buck. One of my favorite things in this one is the “30 Day Challenge” which is tailor-made for your level of fitness. This is a very versatile workout game with celebrity Mel B (remember her from Spice Girls?). You can do cardio, dance, step and kickboxing in this game. One of the added bonuses to this game is that it also offers meal plans with 140 recipes to help you stay on track. This workout game will have you doing cardio boxing, running, and much more. What I really liked about this game is that it tracks your calories burned and fitness level. Once you’re doing better in the program, it will change the difficulty of the workout. This game can really get your heart pumping! Kids need to stay in shape or get in shape too. Some of the games to lose weight that were mentioned above may not be right for them, but there are options specially made for children. Nickelodeon Fit is a great option for kids to use. I’ve been working out with my Nintendo Wii for a few months now, and I can see and feel the results of sticking with it. The video games aren’t a miracle pill, but they really do help you have an interesting and fun workout, which for me is essential. 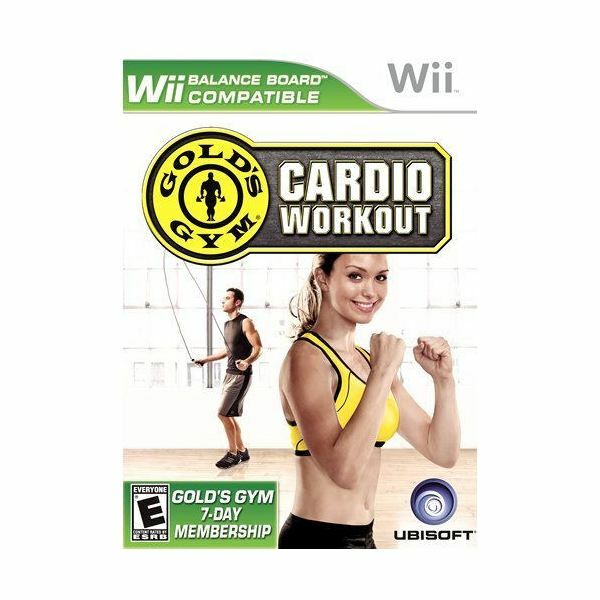 I get bored very easily with workout DVDs, but the video games allow me to mix up the workouts to keep me from getting bored and quitting. My favorite ones so far are Just Dance 2, EA Sports Active 2 and Gold’s Gym Cardio Workout. Have you been using the Nintendo Wii games to lose weight, too? Have you seen results? What do you think about this type of a program to lose the extra pounds? I’d love to read your stories. Post your comments on this page to start the conversation.